This particular variant of ransomware leaves a The UAE has condemned the massacre of Rohingya Muslims in Myanmar and the use of violence that led to the displacement of thousands of the Muslim minority there. The UAE reiterated that it will continue to provide humanitarian assistance to the Rohingya Muslim minority in Myanmar and to support the efforts aimed at alleviating their suffering and improving their humanitarian situation. In a statement on Tuesday, the Ministry of Foreign Affairs and International Cooperation stressed the need for the international community to address the deteriorating humanitarian crisis and to pre-empt its serious consequences. 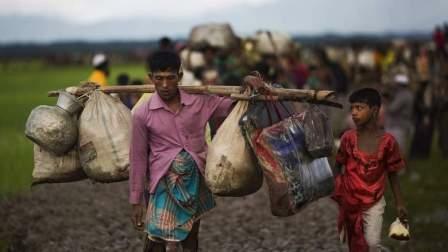 The ministry called on the UN and its concerned organisations to shoulder their responsibilities and duties and to intervene to find a humanitarian and political solution that would protect the Rohingya Muslims from violence, displacement and collective punishment. "The ongoing tragedy endured by the Rohingyas and the suffering they are going through is unacceptable," the ministry said.